Owning commercial real estate in North Carolina requires attention to detail, especially when it comes to the way the elements affect your building, which often means dealing with water damage and mold. 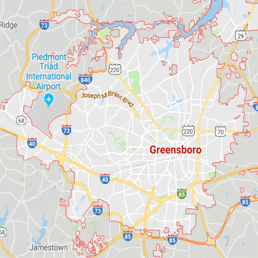 Dealing with water damage in Greensboro can be overwhelming, but when you have 911 Restoration of Greensboro on your side, you will receive around the clock assistance. The office is open 24/7/365, making it easy for customers to get in touch with technicians the moment they need help with commercial property damage. If you are dealing with a water-based emergency, such as a broken water pipe, leaking ceiling, or raw sewage spill, repair techs guarantee to be at your property within 45 minutes of receiving your call. The technicians are experienced in implementing flooding repair and other water damage restoration services, no matter how severe your disaster may be. To determine the extent of the damage, repair techs provide property owners with free visual inspections and estimates. 911 Restoration of Greensboro will administer same-day services for all disasters involving water because we understand that time is of the essence when dealing with moisture. So, when you need speedy water damage repairs, call us right away, and the highly trained technicians will give you the peace of mind you need. Water can invade your building through many different avenues. Sometimes a pipe burst may cause an indoor flood, or a rainstorm may create a water leak in the ceiling, creating substantial commercial property damage. Our water mitigation company will provide complete water extraction, drying, and dehumidifying services in your building, ensuring that every trace of moisture is removed to prevent subsequent issues, such as wood rot and mold. Cleaning flood and leak issues are more than just sopping up water; it requires advanced leak detection and mold inspection services to create a safe environment for you and everyone else who spends time in the property. The thoroughness in which we address every job is how we demonstrate the professionalism that the entire operation prides itself on. Although we work quickly, you can trust that the technicians will leave your property looking like new. If your commercial property also acts as your place of business, then minimizing its downtime is even more crucial. Technicians want to get you open for business after a disaster has taken place, and they vow to work diligently until they make that happen. Mitigating your commercial property damage in Greensboro is as easy as making one phone call. 911 Restoration is always standing by you help you, so give us a call right away! Where there is water damage, there is usually mold, with infestations starting within 24-48 hours after spores are exposed to moisture. Commercial buildings are particularly at risk of becoming impacted by mold for many reasons. It is easy for mold to hide in warehouses and other open spaces because leaks and other moisture issues can occur without the property owner knowing for quite some time. If you do not regularly visit your commercial property, then water and mold issues can run rampant, eating through drywall and contaminating the indoor air quality. If you own a building that people regularly work in or visit, then mitigating your mold problem is vital to your business. Inhaling mold spores can cause people to experience allergies and breathing issues, which is why it is necessary to remove the mold from the premises as quickly as possible. By calling 911 Restoration of Greensboro, you will have access to mold experts who specifically know how to handle commercial property damage caused by water, mold, sewage, and even fire. So, call the water mitigation company you can trust to give you a Fresh Start after a disaster has impacted your commercial property today.